Shirley likely bonded with fruit trees when, while very young, she was put out in the orchard in a fruit box under the watchful eye of a caring hired man. She grew up involved in the fruit farm with her father and brother, but left the farm for college. After graduating from the University of Colorado she worked for Harvard University while her new husband attended law school. After he graduated, they returned to Grand Junction and she became more involved in the family operation as time permitted and their family grew. She has been active in local and state boards and commissions, but is happiest when being out in the fruit trees, spending time with her grandchildren, or looking out her window at the trees and a sunset. The son of a banker who grew up in the town of Grand Junction, Bill spent some of his early working years with fruit in Palisade. He did both orchard work (some even on stilts) and packing shed labor. During World War II he served as a navigator in the Navy, thus his love of stargazing on those clear, dark nights on the farm. After graduating from Harvard with his law degree, Bill returned to Grand Junction to practice. Every modern farm seems to need some family member making an outside income. Bill filled that role through his law work and then by serving as a Colorado District Court Judge. After retirement, he worked as a professional arbitrator and mediator. Bill believed in working to better the community and was instrumental in helping establish community corrections programs and in developing river front trails along the Colorado River through Grand Junction. At home, he volunteers as a helping hand and has helped dig, plant, pack and pick fruit. He knew all too well which end of a shovel is up and could be seen practicing that art any time of year. Bill passed away on September 1, 2016. Steve is the operations manager and a partner of Ela Family Farms. Steve oversees the day to day goings-on of the farm and getting fruit directly to the folks who’d like to eat it. On any given day this may include planting new fruit trees, changing tractor tires, putting together gift baskets, doing office work, or meeting our customers face to face at markets. Steve is very involved in organics, in research, and in promoting the Colorado fruit industry. Currently serving on the National Organic Standards Board, Steve brings his experiential and soil science background to represent organics as a family farmer, helping set organic policy for our nation. He is on the board and past president of the Valley Organic Growers Association. 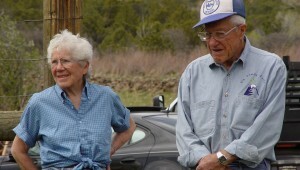 In the past he also served as President of the Western Colorado Horticultural Society, served on the Colorado Agriculture Commission, served on the board and was President of the Organic Farming Research Foundation, was on the Advisory Boards of the Western Integrated Pest Management Center and the Colorado Specialty Crops Program, was Chair of the Orchard and Pest Disease Management Conference, and serves on numerous local boards and organizations. 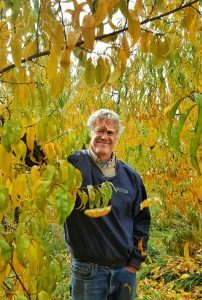 Steve is active in organic tree fruit research and has helped to organize two major national organic tree fruit research symposiums. Additionally, Colorado State University has conducted numerous organic research and insect research projects on our farm. His two children, Will and Adair, are growing up on the farm and can be found helping at farmers markets, in the packing shed, with gift packs, and other farm jobs. Jeni is the Front Range representative for Ela Family Farms. 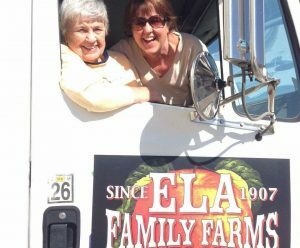 Her title shifts depending on the day and season, but as Steve says, “she keeps me sane.” Jeni started direct marketing for Ela Family Farms in 2000. Since then the orchard went from selling mainly into the large food system to direct marketing everything we grow. She juggles farmer’s market management, wholesale distribution, CSA coordination and sales logistics. Jeni has served on and been President of the Boulder County Farmers Market board and is involved in marketing and farm to school programs. Jeni is just as happy selling a single peach to a farmer’s market customer as she is delivering pallets of fruit to a Farm to School program. Jen grew up in a small town in Iowa surrounded by cornfields and small family farms. She earned a Biology degree from theUniversity of Colorado Boulder and lived out her dream of being a market farmer in Paonia, CO where she met the Ela family. Her dream of working in environmental business is fulfilled working for Ela Family Farms. Her work feeds her passion for preserving the small family farm, sustainable agriculture, plant life and business. With over 18 years of retail management experience, her position with Ela is an organic fit.